Office 365 allows variable payment options to give you the freedom to pay only for the software you need. For small and mid-sized businesses, the Microsoft Office 365 productivity suite is a staple in your software cupboard. Consider how much you have paid for each software license. How would you feel about spending a fraction of the cost for the entire Microsoft Office productivity suite, and with it, get some of the most revolutionary collaboration tools available? Peak is proud to offer the Microsoft Office 365 cloud-based productivity suite to small and mid-sized businesses in the Washington area. Per user monthly billing rather than the traditional per machine rate, significantly reduces the amount your organization has to spend to get the same productivity suite that you are used to. 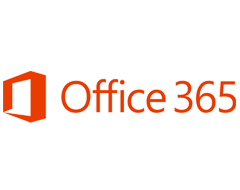 For more information about the Microsoft Office 365 cloud-based productivity apps or other IT-related services that we can assist you with, call us at 509.987.5889.